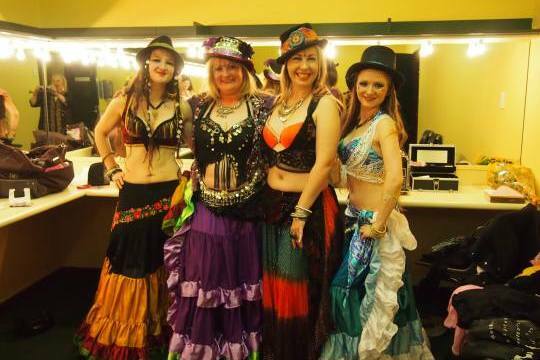 The Bellycats are a belly dance troupe from Wellington, New Zealand. Belly dance is a Western-coined name for a type of Middle Eastern dance. Originally a “solo, improvised dance involving torso articulation”, belly dances can take many different forms depending on the country and region, both in costume and dance style, and new styles have evolved in the West as its popularity has spread globally.